One of the central challenges of the decline in social capital is that the factors driving it are not things we would want to reverse, writes Shadow Assistant Treasurer, Andrew Leigh. In short, the level of social capital was high. There is little doubt it has declined since then. On most measures, Australians are less connected to each other than at any point in the post-war era. One of the central challenges of the decline in social capital is that the factors driving it are not things we would want to reverse. More television-viewing and gaming, a rise in car commuting and impersonal technologies like the ATM and self-scan groceries have all reduced social capital in Australia. You may have hundreds of Facebook friends, but how many would come to visit you in hospital if you got sick? In addition to these technological impacts, there is also some evidence that two social trends which I regard as generally very positive – ethnic diversity and the feminisation of the workplace – have had a short-term effect of weakening civic life. Like most politicians, I’m a temperamental optimist. I believe we need to peer over the horizon at an Australia that is both prosperous and connected. Inspiring examples of community-lead initiatives give us hope for that future. 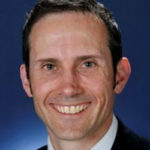 About the author: Andrew Leigh is the Shadow Assistant Treasurer. This article formed part of a speech he delivered to the Municipal Association of Victoria’s “Futures for Communities” Conference in Melbourne. It was written with the assistance of colleague Joseph Walker. Andrew Leigh is the Shadow Assistant Treasurer.